Study the faces. Stare into the eyes. You hear them talking to you? 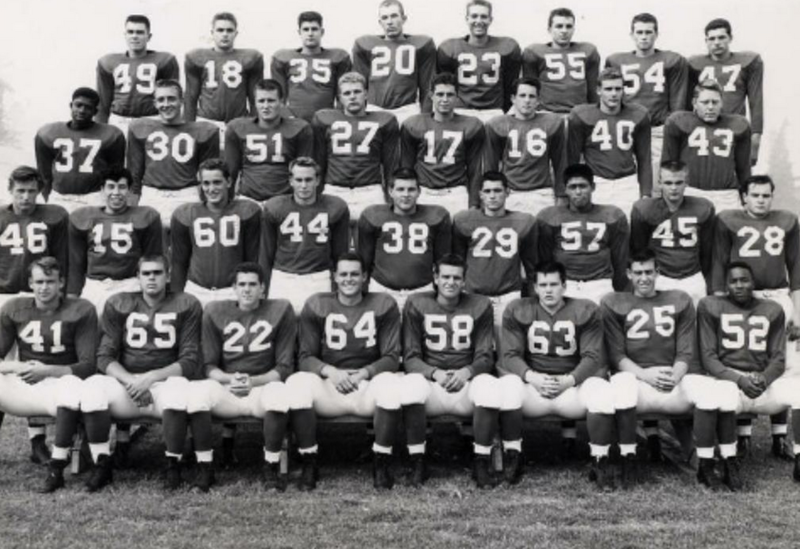 “The ghosts” … Current Crescenta Valley baseball coach Phil Torres used to call them “the ghosts” when he’d refer to old pictures of teams that won CIF championships in the Temple City football locker room. 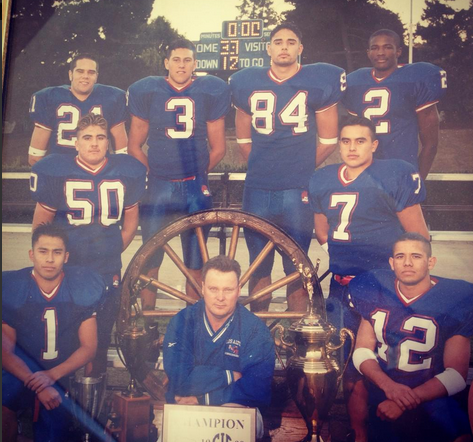 Back then (early 90s), Torres was a JV football assistant coach at TC. Whatever. But it always stuck with me — you win CIF and you’re NEVER forgotten. 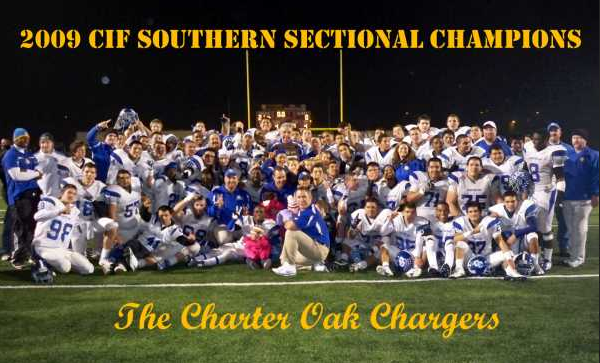 Some day, maybe 100 years from now, when all of us are long gone, the current crop of Charter Oak players will look at the ghosts. Study the faces. Stare into the eyes. Immortality! Study the faces. Stare into the eyes. You hear them talking to you? “The ghosts” … Current Crescenta Valley baseball coach Phil Torres used to call them “the ghosts” when he’d refer to old pictures of teams that won CIF championships in the Temple City football locker room. Back then (early 90s), Torres was a JV football assistant coach at TC. Whatever. But it always stuck with me — you win CIF and you’re NEVER forgotten. Some day, maybe 100 years from now, when all of us are long gone, the current crop of Los Altos players will look at the ghosts. Study the faces. Stare into the eyes. Immortality! Study the faces. Stare into the eyes. You hear them talking to you? “The ghosts” … Current Crescenta Valley baseball coach Phil Torres used to call them “the ghosts” when he’d refer to old pictures of teams that won CIF championships in the Temple City football locker room. Back then (early 90s), Torres was a JV football assistant coach at TC. Whatever. But it always stuck with me — you win CIF and you’re NEVER forgotten. 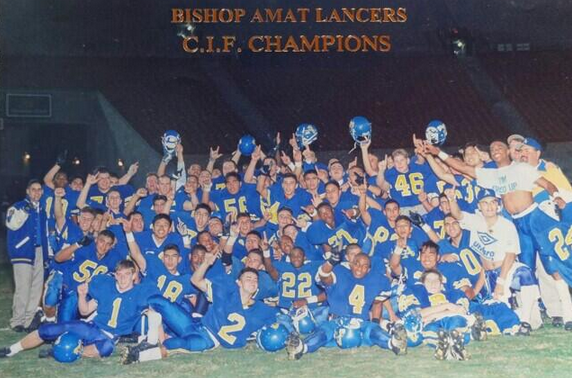 Some day, maybe 100 years from now, when all of us are long gone, the current crop of Amat players will look at the ghosts. Study the faces. Stare into the eyes. Immortality! Current Crescenta Valley baseball coach Phil Torres used to call them “the ghosts” when he’d refer to old pictures of teams that won CIF championships in the Temple City football locker room. 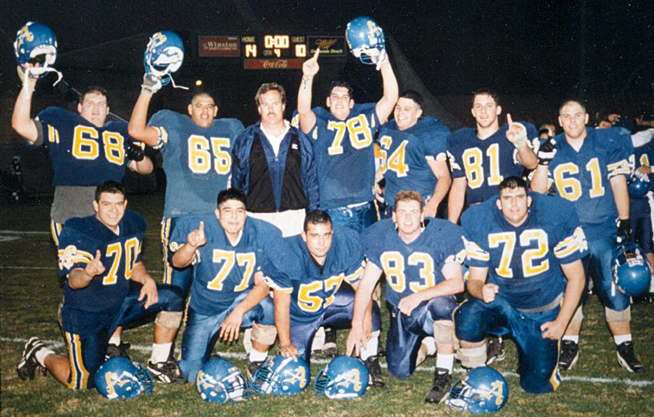 Back then (early 90s), Torres was a JV football assistant coach. But it always stuck with me — you win and you’re NEVER forgotten. Some day, maybe 70 years from now when most of us are gone, current Pomona players will look at the pic of the 2014 team. Study the faces. Stare into the eyes. Immortality!